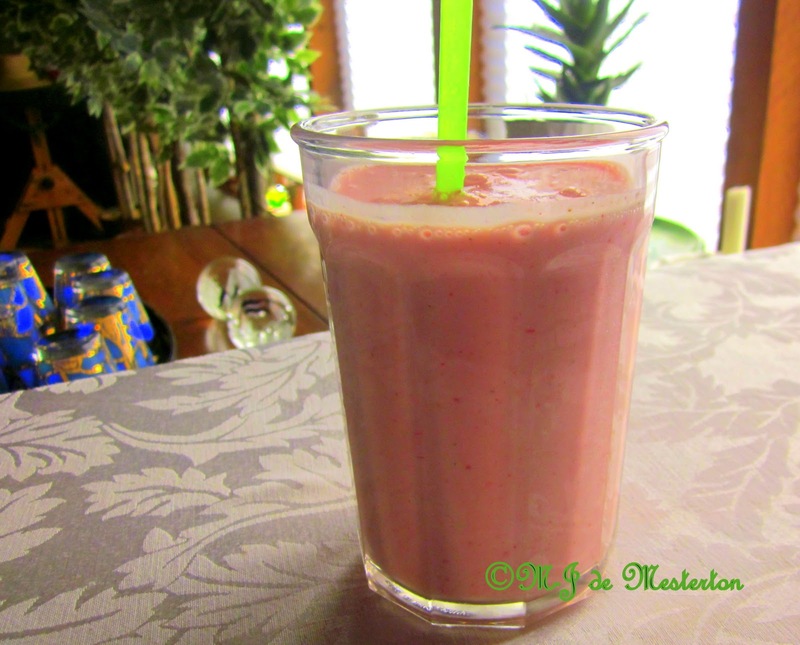 An elegant fruit smoothie always has a pleasant, inviting colour and flavours that blend together marvellously.This one contains four strawberries, a few chunks of pineapple, and a small section of banana, all of which canbe processed while frozen if necessary, with the addition of water and yoghurt. 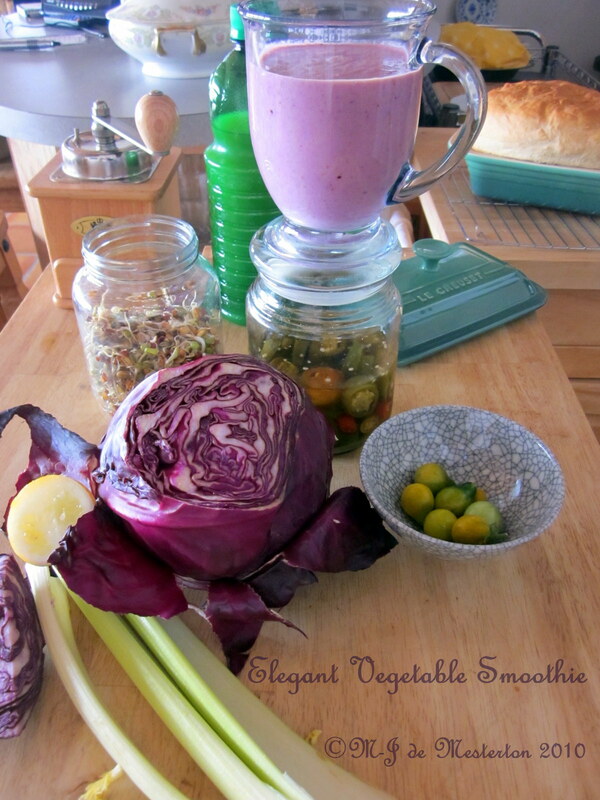 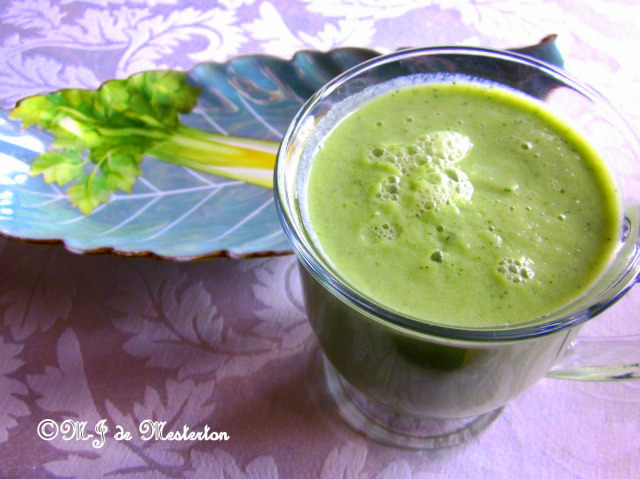 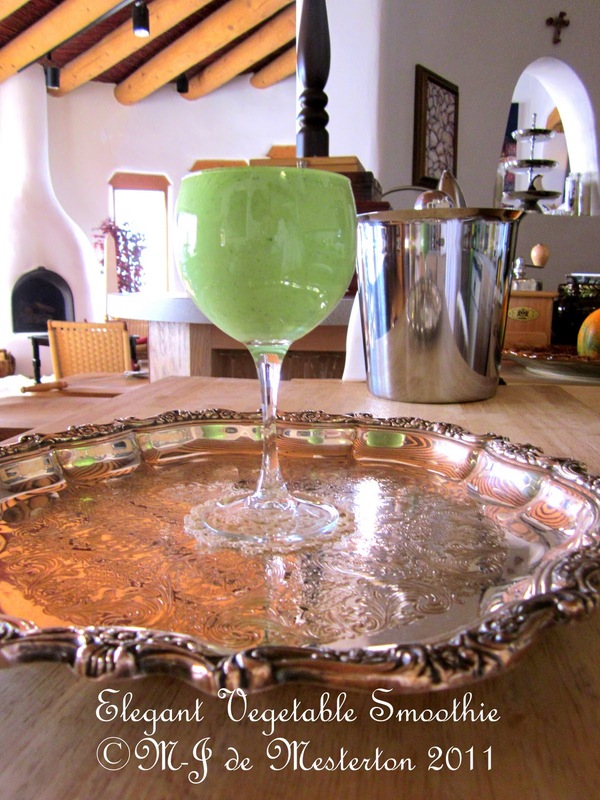 Celery, purple cabbage, a piece of whole lemon, pear-tomatoes, jalapeños, home-grown sprouts and buttermilk or yoghurt mixed with water in a blender make a tasty post–Christmas diuretic smoothie. 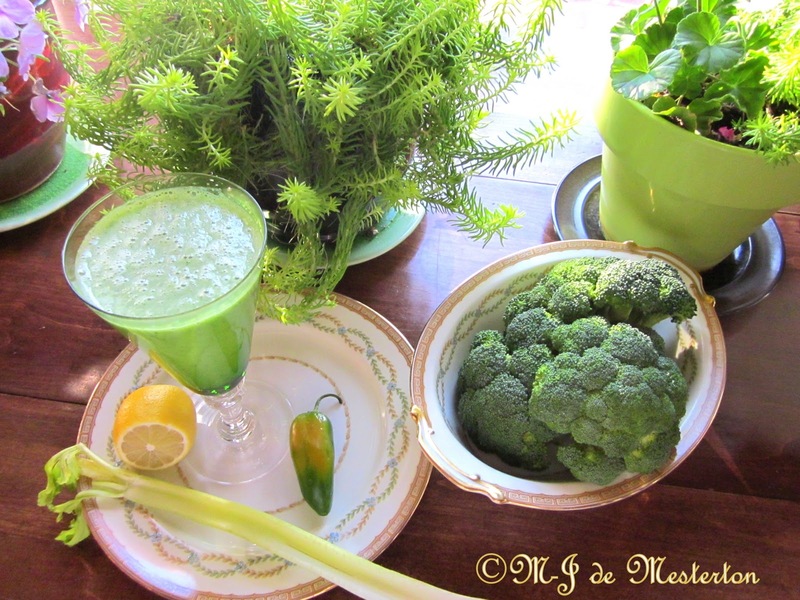 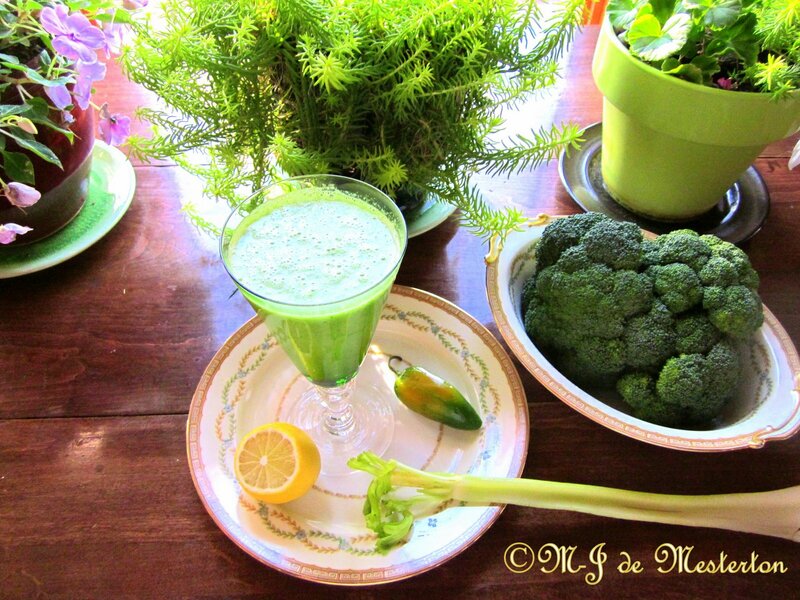 Buttermilk, lemon juice, raw broccoli, celery, jalapeño pepper, and cucumber blended together make an excellent breakfast tonic.